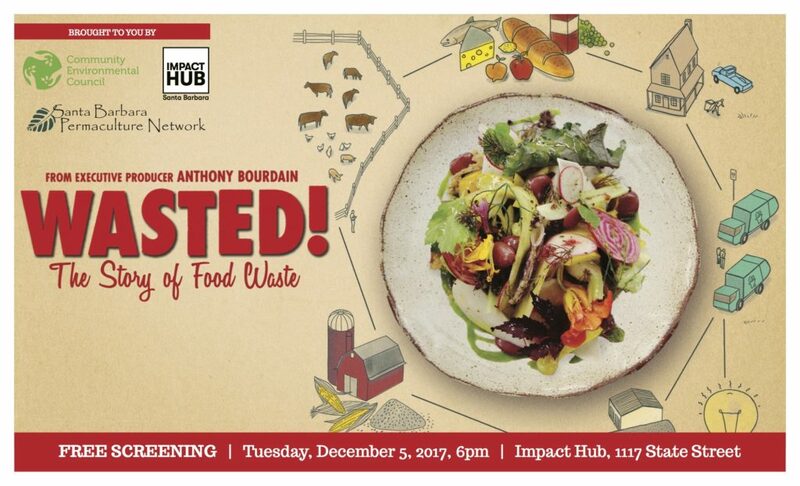 Join us to #rethinkfood with a FREE screening of WASTED: The Story of Food Waste by Anthony Bourdain. 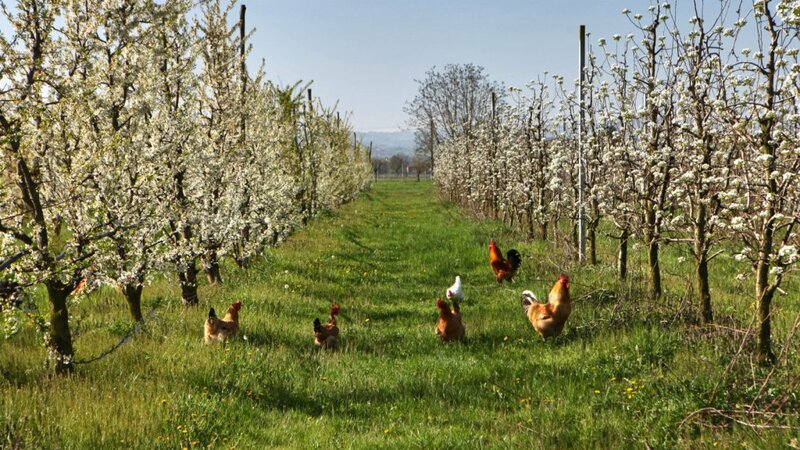 Hear how you can plug into efforts to reduce and redistribute food waste with CEC and other local organizations. Light snacks provided, and bring your reusable water bottle to take advantage of a water refill station. RSVP here on Facebook or email Kathi King at kking@cecmail.org. Tuesday, December 5 at 6 p.m. at the Impact Hub Santa Barbara at 1117 State St. Sponsored by CEC, Santa Barbara Permaculture Network, and Impact Hub Santa Barbara.